We are one week away from the 123rd Boston Marathon! Oh em gee. Overall it was a nice and easy training week for me while G had a big week totaling 6 miles. 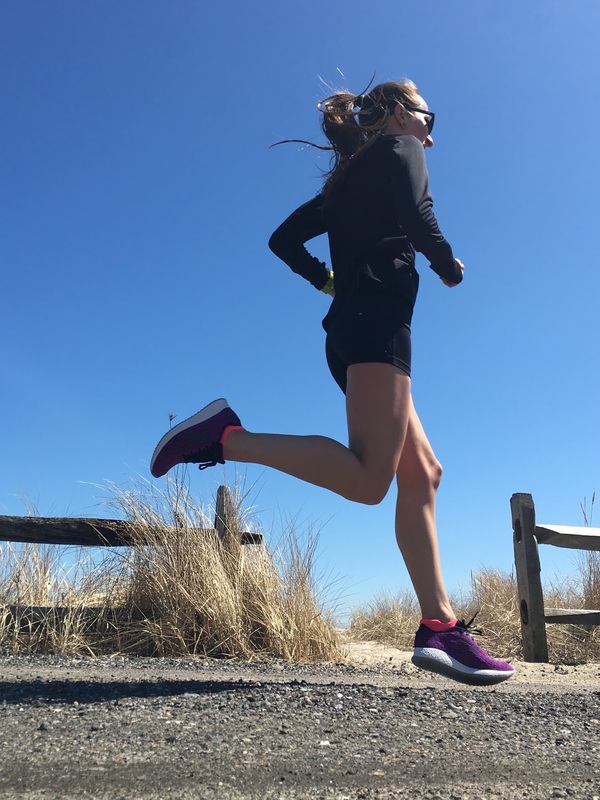 Last week’s 20 miler left me feeling like I got hit by a bus so I was very happy to be tapering. I worked out on Monday with a big focus on my core. I planned on a short run with Georgie but she surprised me with 3 miles. Tuesday I cruised for 4 miles after work then took a total rest day on Wednesday. Thursday was spin and swim. Friday I didn’t feel like running. It was cold and windy—big surprise—but I was hoping for 3-5 miles. I relied on G to get me going with the idea that she’d go a mile or so then I’d continue the rest on my own but again she ran 3 miles. I was so proud. I woke up Saturday morning to rain but the hour by hour forecast looked very promising. When I started running at 1pm, it was 55 degrees and sunny. 10 miles later it was 62 degrees to end a great last long run through Cotuit. The goal was to stay relaxed and enjoy the weather. I didn’t even look at my watch until I finished. Love those kind of runs. I can’t say I’m totally ready for Boston but I know I will be fine. Any time you tackle 26.2 miles there are a ton of nerves and doubts. There is no guarantee in the marathon. You may have put in the work. You may have been there before but you never know what cards you are going to get dealt on race day and it certainly doesn’t get any easier with experience. I’m starting to get excited but it’s definitely a bunch of different feelings going into race week than last year. Time to rest up, mentally prepare and weather stalk for the next 7 days. Positive vibes only, please. · I’m number 15097 if you want to track me! Wave 2 has a 10:25am start time. Download the Boston Marathon app or go to www.baa.org on race day. 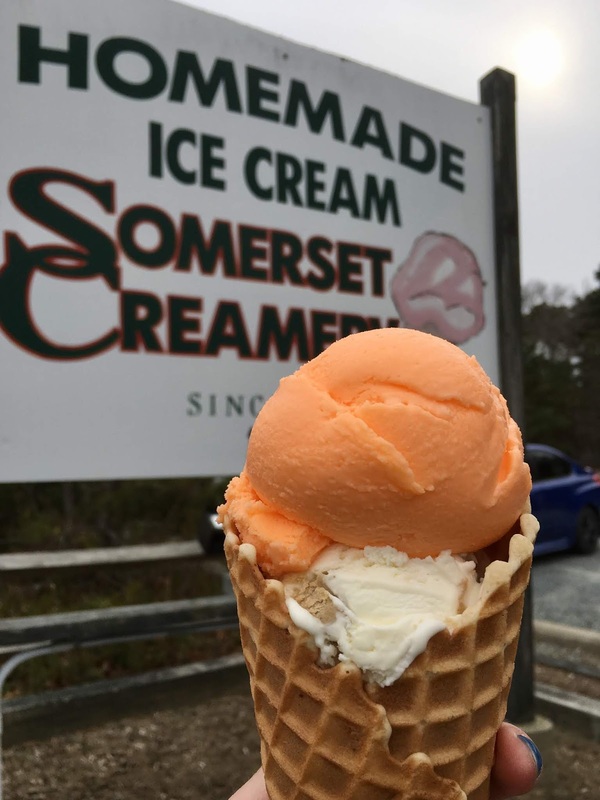 · Just in case you didn’t already know this… Somerset Creamery in Cataumet opened up this weekend! I blogged about it awhile back calling it “the best waffle cones on Cape Cod.” My go to order? Medium waffle cone with cookie dough on the bottom, orange sherbet on top. 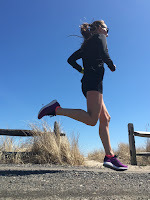 · 1 week until the Boston Marathon!